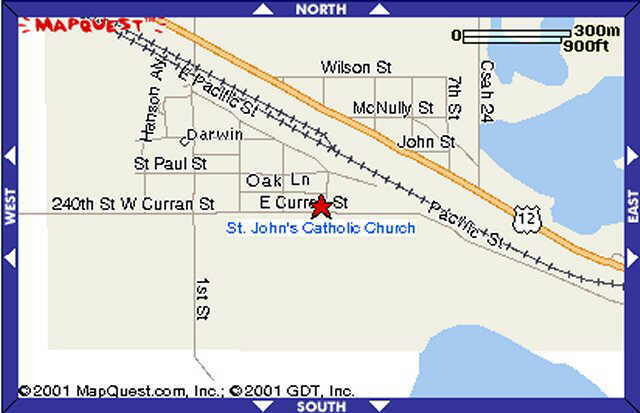 The ed center is located 2 miles west of Cokato. Click on the sign to get directions to the center. The multi purpose Education Center: In addition to parish actives, the center is available to other groups needing a facility for gatherings. A kitchen is available along with several small breakout rooms and a large gathering room. A modern sound system has recently been installed. Contact ---- to make arrangements for use of the facility. A building use policy has been established. Click here for the policy and fees. Worship facilities: A small chapel is available for small group worship purposes. Kitchen: A modern kitchen facility is available for meal preparation and food service. Class rooms: Several classrooms are available to use as breakout rooms or private areas. The gathering area: The gathering area can accommodate up to ---- persons. Seating can be arranged as necessary for the audience.